In this episode number 22, I speak with Delilah Taylor who is a wife, a mother of 4 and also works from home managing product launches for info products, digital products, software and plugins in the Internet Marketing space, helping product creators to get more affiliates to promote their offers. During this episode, Delilah will discuss how JV or, ‘Joint Venture’ partnerships work in the affiliate marketing marketplace, the sources she uses to expand your search for top level affiliates to support your product releases, how to build relationships with those affiliates to ensure their support when you launch. Cindy: Hi Delilah. It is fantastic to have you here on the show. For those guys who don’t know about you, and they haven’t quite met you or bumped into you on Facebook, or Skype, who is Delilah Taylor?Delilah: Thank you Cindy. I am so honored to be here. You don’t know how much I’ve seen you over this time that I’ve been in internet marketing, and I was thrilled when you asked me to do this. As far as me my name is Delilah Taylor. I live in the States, and I do JV management so product launchers whether it be info products, digital products, software, plugins I help them find affiliates to promote their offers for them, to get targeted traffic to bring in sales. Cindy: Excellent. That is great. How long have you been doing this? Delilah: Right at year now. I’ve been doing JV management right at a year. Cindy: What made you go, I think I’ll start doing JV management? Delilah: It’s funny. I actually started out doing products myself, and that was my very first product came out November of 2014, and I was one of those really struggling people. I had a couple of products, and right about that time after I had my first couple of products, Marketing Mayhem came about, which is huge event in 2015, and it was in San Diego, which I’m in the state of San Diego … I’m on the East Coast, and San Diego is on the West Coast. I was still broke. I was still learning how to do this. I was one of the people that did not get to go. I literally could not afford to go but a couple of very good friends of mine where at Marketing Mayhem, and they were launching a product while they were at Marketing Mayhem. I was at home and they were like really busy because they were actually working at Marketing Mayhem. Can you please, we will pay you. Just do some of this for us. I actually was at home during Marketing Mayhem and started doing their promotion for them, and from there it just took off. It was crazy how many people started contacting me going, “Hey, do you do JV management?” That’s how it really all started. Cindy: They really is a need for good, quality JV like JV people. Delilah: That was what was so weird because apparently it was this whole niche within the niche that just nobody had found. I was overrun all over a sudden. It was wild. I love it. It works out well for me because I like to talk to people. Cindy: Well, yeah. Tell me when it comes to doing a launch, what is your sequence? How do you actually get started? You need a JV page, right, so maybe let’s talk about the anatomy of a JV page. What should a JV page have? Delilah: At the top, you want to always have whatever it is that the JVs want. A JV page in an essence is a sales page but you are selling to the JVs. You are not selling them the product but you are selling them on the idea of why they want to be a JV for you. Cindy: Can you pause for just two seconds? What I just realized is we probably have … We haven’t even really mentioned what JVs are, and what a launch is. Maybe we should do that first. Delilah: … and it fits better on a page, and you know. Cindy: Right. Delilah: That’s JV and a launch is after you’ve created a product whether it be informational, a software plugin, whatever, and you want to put it out to the world. You always want that build up that gets people excited, let’s them know hey, this is coming, and it’s coming on this day just like the movies or anything else. When a big movie is coming out you don’t hear about it the day that it comes out at the theater. You start hearing about it a month before because they want to really build up that excitement. Cindy: You start seeing trailers, you start seeing [front 00:05:02]. Delilah: Exactly. So that’s a product launch. Cindy: Okay, thank you very much. Sorry guys. We just get so carried away. Then what as product launchers, we put out a JV page, and we tell affiliates to come and sign up. Tell us, let’s go back to what we were talking about before. A JV page has what on it? Why don’t you tell us? Delilah: A JV page would tell the affiliate why they want to promote for you, what they are going to get out of it, what they’re … Why they are going to be … Why it’s going sell to their people whoever they are promoting it to because the whole point is they want to make commissions. If you are sending out a product that nobody wants, the JVs don’t want it, obviously. You want to have on there generally a video that’s telling them why they want to promote it, what they are going to get out of it, if there’s any sales [contest 00:06:01] what their commissions are going to be, how quickly they are going to get paid on it. Those quick things, and then down through the page you are going to give them information about what is in the product, does it have any bonuses in it, are there any sales? Are they going to have a chance to make even additional money? Items like that, and how to contact you, how to stay informed about the launch. They’ll be information there for them to put in their email, and where to go get their JV link because every product launch has to be on a sales platform, and there’s multiple sales platforms out there. You’ll connect that get your JV link here to your sales platform. Cindy: Right, and you want to make it really clear. Cindy: You want to have a video so affiliates can connect with you. You want to have an opt-in form so that you can follow up. You want to have very clear dates, and like times of when it’s going to launch, bonuses if you are doing it, JV prices, and just some way to go and get their affiliate link, I’m thinking. Cindy: Once you get people on the [inaudible 00:07:10] do you do a lot of follow-up? How do you follow up with affiliates, or do you just automate it through the system, or do you have … Do you do one- on-one connection? What’s your way of doing it? Delilah: I actually do both. For me, relationships are huge. You can email people all day long and then they may or may not get it but if you have that personal connection, I do a lot through Facebook Messenger. I get to know these affiliates individually, and the little things. What’s going on in their life, and what have they got going on? They become my friends. Delilah: They truly do, and then Skype is also a huge one. I do regular follow ups because a lot of times they’ll get their JV the link, and the product launch may not be for three, four weeks out. You’ve got to keep it fresh on their mind and let them know of any updates because there are things that happen from time to time. Hey, is it? We’ve got to move it back 12 hours, or you know, or our email broke but we are fixing it. It’s okay. Things go wrong. You want to make sure they are aware of that. Sometimes you’ll run an extra bonus, sometimes you’ll start the launch off a day or two ahead of time for a couple of JVs just so you can get the pre-launch, and conversion rates. Do specials for them. There’s all sorts of things that you can do but you want to have that excitement and that build up with the JVs even before you ever even get to the product launch itself. Cindy: Yeah, yeah, something that you were talking about before we actually got on this call was that when you are doing a product launch you are basically running two launches. You are running the launch obviously for the customers because you want to sell it but you are running a separate launch because affiliates aren’t really going to get behind the product unless they really believe in it, and they believe it’s something that first their listeners are going to want to go and see, and it’s going to benefit their list but also that it’s going to make them money. Something that they can get excited about and behind. I just wanted to throw that in there because I think some people forget they take on a JV launch like it’s just tucked on. It’s something that you do because you are supposed to do, and you just through a link up there, and affiliates will magically come but they won’t. They need to be excited about it, and they need to believe in your product and connect with you. When you talk about relationships it’s something that a lot of people really under estimate I think. Google doc sheet, and down one side I’ll have a list of every person that I want to speak with, and then beside that whether I’ve contacted them or not contacted them yet. When I talk to them notes on what we talked about, did they get their JV linked, did they … They want follow up? Do they want review access? Is there something special that they want to go with it? So every time I talk with somebody I can go back and forth between that sheet and know what exactly [crosstalk 00:10:34]. Cindy: I used to do that, and I’ve recently changed over. I’m not sure if you’ve heard of it. There’s a platform called Trello, and it lets you actually create groups, and you create little files for each person, and then you can drag it into a group. If you’ve connected like you’ve made your first connection you can just drag it and drop it into this group, and then you can update it, add notes. It’s basically like using Google docs but prettier, and you get to drag, and drop, and put notes, you can add files, and all that sort of stuff to it. I don’t know if that helps but you might to do that. Delilah: It does. I want to look at that. Thank you. [crosstalk 00:11:14]. I learned something new. That’s awesome. Cindy: Yeah, I learned about that when I was doing a launch with Jay … Forgot his name now. Jay. Crap, this is what happens. Anyway, Jay. Jay and I we launched a product together, and he introduced me to the platform, and yeah. It’s really good. It’s really straightforward, easy to use in and it’s free so there’s an added bonus. Delilah: Even better. All right. You do a lot of connections, do you do any … I know on Skype there’s a lot of broadcasting you can do, and Facebook groups has a lot of those kinds of things. Do you do that, and if so, how do you schedule it? What is your sequencing for that? I do the Facebook Groups. There’s a lot of them. Normally, I will start out with a video because Facebook has to do a video now. Those sites are awesome. They are very eye grabbing if you do it right. I will go through the JV groups in Facebook, and I’ll start out with a video in it. It’s usually two weeks before the launch, and then normally I’ll update it at five days, three days, sometimes 24 hours, and then obviously, normally I’ll wait until after we are a couple of hours in after live that way, especially I can put up stats because some conversion rates, some things like that are great for pulling in last minute JVs. There are some people who won’t join until it’s already been running for a few hours, or a day because they want to see, they want to make sure that it’s actually converting before they’ll actually jump on. I like to have that in there. Delilah: excuse me, and one of the things that I really suggest, and I learned this not too long ago myself that it works out really great is your sales platform, where they go to replace their JV link. When they go to replace their JV link on their sales platform, whichever platform it is they have a section in their [work 00:15:00]. You could put a note to the potential JV, and leave a section for them to leave notes for you. In your note section, you can tell them, “Hey, unless we already know you make sure you give us your contact information. In this section, put in your email address, Skype address,” whatever, anything you want. That way because even on the JV page where you have the area where you ask them for their email address, a lot of times they won’t but when it comes to doing it there on that JV page on the sales platform they will. That just gave you automatic permission to take that email address, and add them into your contact list. Cindy: That’s something that I’ve done, yeah. That’s cool. Interesting. All right, are there other things you can share? 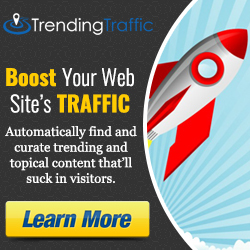 Any other ways that you drive traffic for an affiliate promotion? Delilah: Let’s see, we went over the JV page, the JV groups. Cindy: Something that I was just thinking of before you dive into that, you mentioned creating a video, and a video is fantastic for getting your face, and we’ve talked about this before about getting your face in front of your audience, and really connecting because it is about relationship. Like we said but Facebook videos are so freaking cheap, and I’m not sure if you do this right now but you can get for like less than a cent per view, really targeted stuff. You can drop a pixel on your JV page, and then you can send them … Actually send people that have come, shown interest in your JV page your JV video for less than a cent, and having your face there, in front of them really helps. I’m sure if you do that but it’s seriously [crosstalk 00:16:47]. Cindy: Not very many people do that. Delilah: I’m actually glad you brought that up. The last two, three promotions I’ve ran video Ads. Delilah: Yeah, and those were phenomenal, and targeted those in getting video views. It’s even got it set up to where you can put the link to your JV page where it shows up right at the end of the video. Cindy: Really. That is cool. Delilah: Yeah, the videos are actually clickable. That is cool. You can obviously put the link within the post itself but then as you are running the video Ad, when the video ends it actually shows up the link. Cindy: They can click right on it. That is cool. Cindy: Yep, you can also do like … I just forgot what I was going to say. I’m so on a roll today. No, I was just thinking about sending JV videos. No, it was really, really cool too. Never mind. If I remember I’ll throw it in there. Dammit. I had [crosstalk 00:18:01]. No, it was really cool. Let me think. No, I don’t know. It’s gone. Delilah: The biggest question that I get a lot of time is where do you find them? Where do you find the JVs, and the easiest place for me is … There’s a number of them but it’s normally not in the same spots that everybody else looks. Of course, everybody goes to the Facebook Groups, and sure you can put the stuff there in the Facebook but I like to go to the members section. You can highlight. Some of these groups have like 5,000 people in them, and you just sit there, and they are literally start [fronting 00:18:49] people. Don’t spam them. Dear god just do spam them but send them a friendly message. Be simple people, seriously because that’s what it’s all about. They start out that way. Another thing is the really big launches. All right, there’s been a couple of them this week but they’ll post throughout their Facebook timeline, and you can see as they making the post about this huge launches that have sold 100,000 or what not people make … The JVs will come through, and they’ll make comments on this launch stuff. Guess who those people are? Cindy: They are the affiliates, and often sometimes people now it’s trendy to tag all of your affiliates into a post. If there’s a launch they pour out like a proof screenshot. If it’s just on $100,000 in 12 hours or something, people want to know that sort of stuff. People will tag in their best affiliates, and the people that they want to grab their attention. Yeah, that’s like a really good point. Facebook Groups, and tagging people. Cindy: I remember what I was going to say. Can I dive back to that? Cindy: It’s so tiny but I actually think it could be useful because when we are talking about video marketing, and how it’s so cheap to just record a video of yourself. Even if you are not awesome on video, or whatever, just do it because it’s worth doing it but you can import. As you are capturing email lists, you can import those as an extra audience. If you are not capturing, or if you’ve had a whole bunch of different launches, you’ve got all of these JVs that you can use for a targeted audience, and then your clicks and everything are super cheap, and insanely targeted. I was just going to say don’t forget to export your JV list from AWeber or wherever you are putting them, and import them as a Facebook audience. Delilah: Yes, that works … That’s how I targeted my audience. Delilah: I’m glad you brought that out because I’d honestly forgotten about it but yeah especially if you’ve got that JV list, that email list that you can pop that right in there for your Facebook Ads, and it works perfectly. That is awesome. Do you have any other little hidden tidbits that we might not have covered so far? I probably do. [crosstalk 00:21:14]. There’s so much. Cindy: Oh my gosh. If you are listening on the 7-Figure Furnace, and if there is any extra information you really want to see, if you are think of anything you can contribute that we haven’t covered here then throw it in the comments. We would love to see you on the 7-Figure Furnace blog, if you came via iTunes, or something, and you are not seeing the blog, go to 7figurefurnace.com, and find us, throw your comments over there, and Delilah and I will be there to answer any questions if you have them. We’ll come and meet you, and whatever in the comments section. It has been really fantastic having you here Delilah. I think we’ll wrap it up right now. I’ll look forward to seeing you at the next marketing event. I think it’s next week, yeah, we get to catch up. Delilah: It is. I’m so excited I can’t wait. I actually get to go to Marketing Mayhem this year. Cindy: I know. It’s awesome. I will see you then, and thank you so much for joining me on the podcast. Delilah: Thank you so much for having me. I appreciate it. All right. Take care.